Direct - Totald Pro Version 1.54 (portable & Full) -=teamos=- | Team OS : Your Only Destination To Custom OS !! 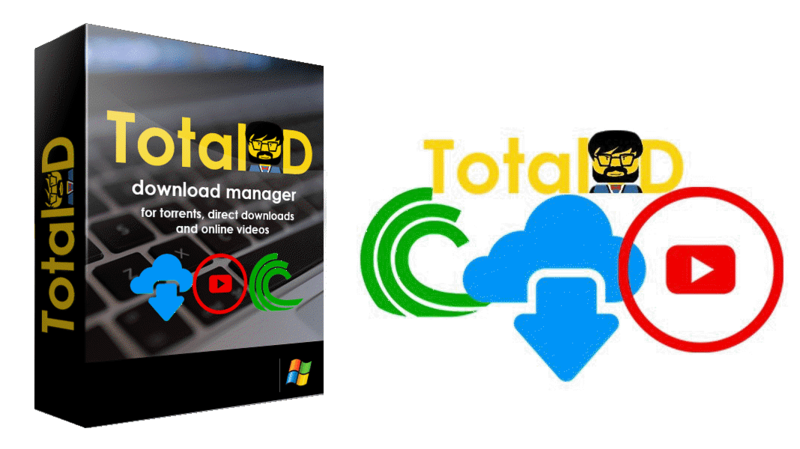 TotalD is the download manager that support all kinds of downloads like Torrents, Direct Download and online videos. 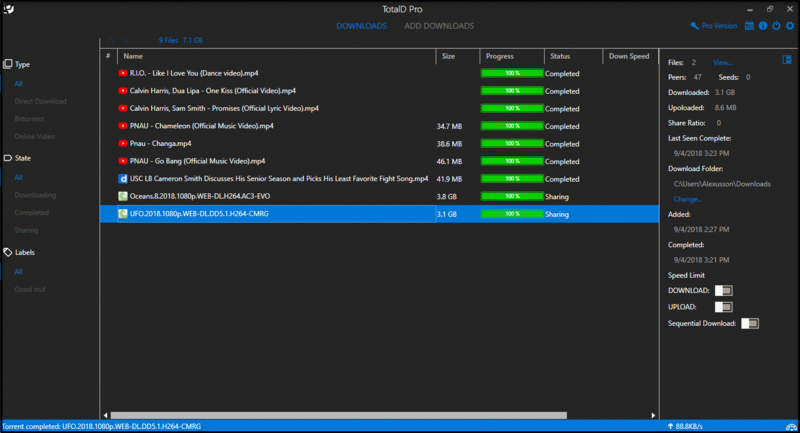 This tool manages the download and upload of files from the BitTorrent network. As a BitTorrent client, it can download torrent files or magnet links and share them automatically. It also supports the latest BitTorrent protocol extensions. With TotalD use can manage all downloaded content directly from favourite hosting or sharing services to dedicated folders using this app. 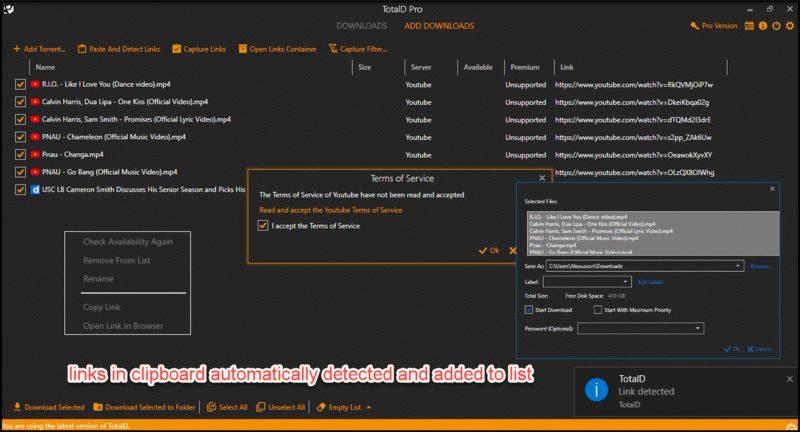 TotalD is an application designed to help the user better manage the content downloaded from favourite hosting and file sharing services to local drives by avoiding frustrating timeouts and annoying captchas that user can barely decipher. As a direct download manager, it is specially designed to optimize and automate the downloads from hosting pages by avoiding their inconveniences. 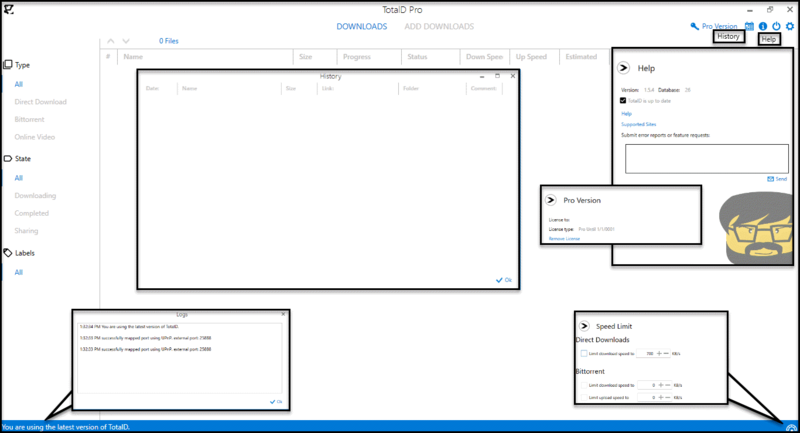 TotalD is in charge of everything, it accesses the web where the file is hosted, it waits the required time and starts downloading them one by one at the maximum speed possible. The database of sites supported is automatically updated frequently with lots of hosting pages like Rapidgator, Zippyshare, Uploaded, Mega, Mediafire, Nitroflare, Yandex and others. The software supports free and premiums accounts. See image below with all supported host web sites. 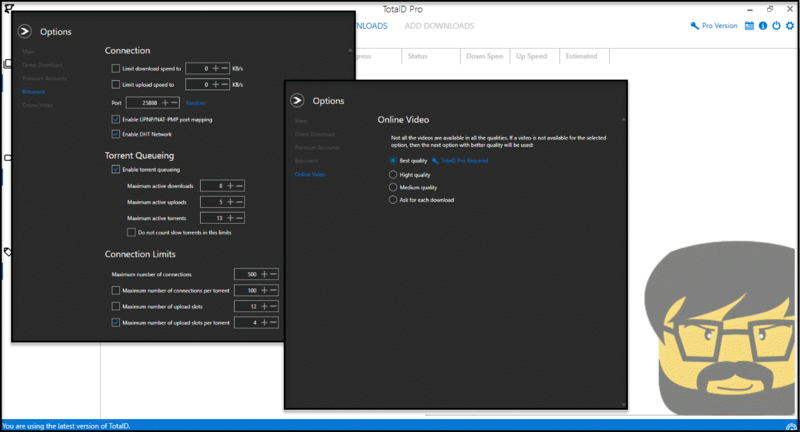 TotalD can also download videos from Youtube, Vimeo, Dailymotion and Veoh with the option of selecting the quality before downloading. 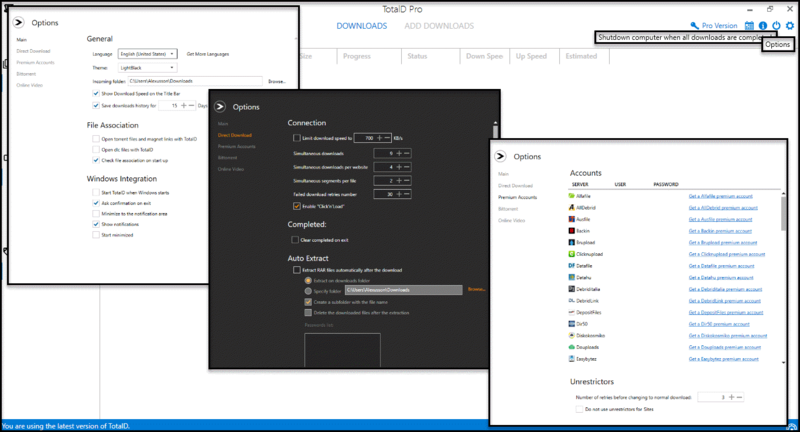 Modern and simple interface that lets a user control all downloads at a glance and how many files can be downloaded simultaneously from each server. A user can browse while downloading files and close the program without worrying and downloads will resume when to open it again. Simultaneous downloads of all servers. One interface for all the downloads. Automatic upload slots: to optimize download rate without spreading upload capacity too thin. The number of upload slots is adjusted based on the peers' download capacity to work even for connections that are orders of magnitude faster than others. Looks pretty good. Hope it works well.. It works smoothly for me as you can see from the images. Even a portable version is reliable. I downloaded a few videos with it. Right now I am sharing torrents with the app. Not bad at all, all-in-one app!